The Spectrum +3 was designed to load & save to its 3" disk drive, so leads to allow program loading from a cassette player can be hard to come by. 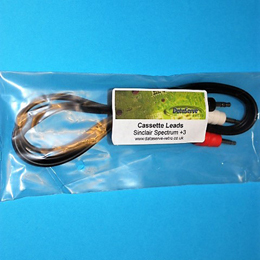 These leads are brand new and allow the connection of a standard tape recorder to the "TAPE/SOUND" socket of the +3. Software can then be loaded from and saved to tape.